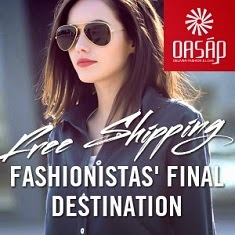 To celebrate my 'new' blog i cooperated with Oasap for a give-away! You can win these high waisted shorts in a size S. Perfect for warm days paired with a nice blouse + sandals! What do you have to do to enter? That is a cute shorts! Have a great weekend my love! love it so much! great post. Cool givaway, count me in!